The wall lamps come in two variations. White powder-coated shade: 17 x 17 cm. Depth 7 cm. Weight 620 g. 1 E 14 socket (max. 40 watt). Polished, coated stainless steel: 17 x 17 cm. Depth 7 cm. Weight 400 g. 1 E 14 socket (max. 40 watt). For flood-lighting wall or ceiling. 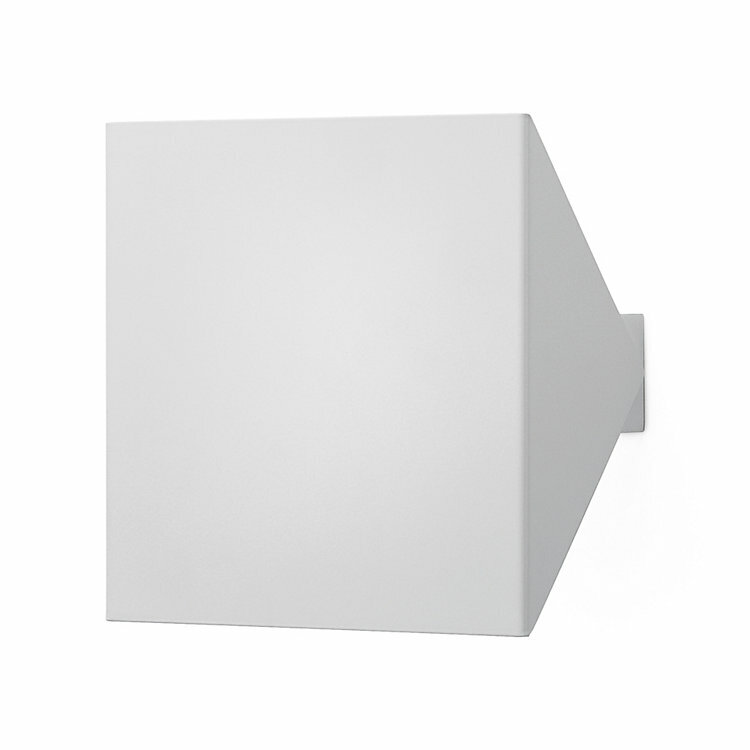 Either of polished, coated stainless steel or – in the case of white lamps – white powder-coated 1-1.2 mm-thick steel plate, with really clean finish. All models have in common that the light can be variably distributed between the upper and lower openings. The white lamps are barely visible in front of a white wall. Design by Wilhelm Braun-Feldweg.